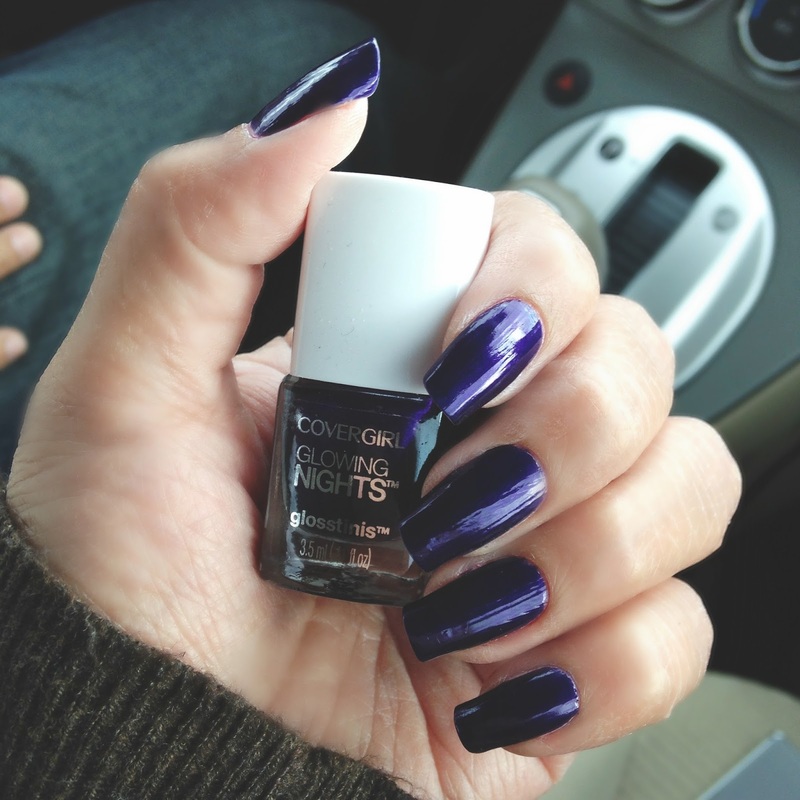 Today I am excited to bring you a nail polish color from CoverGirl, a brand I don't normally purchase. 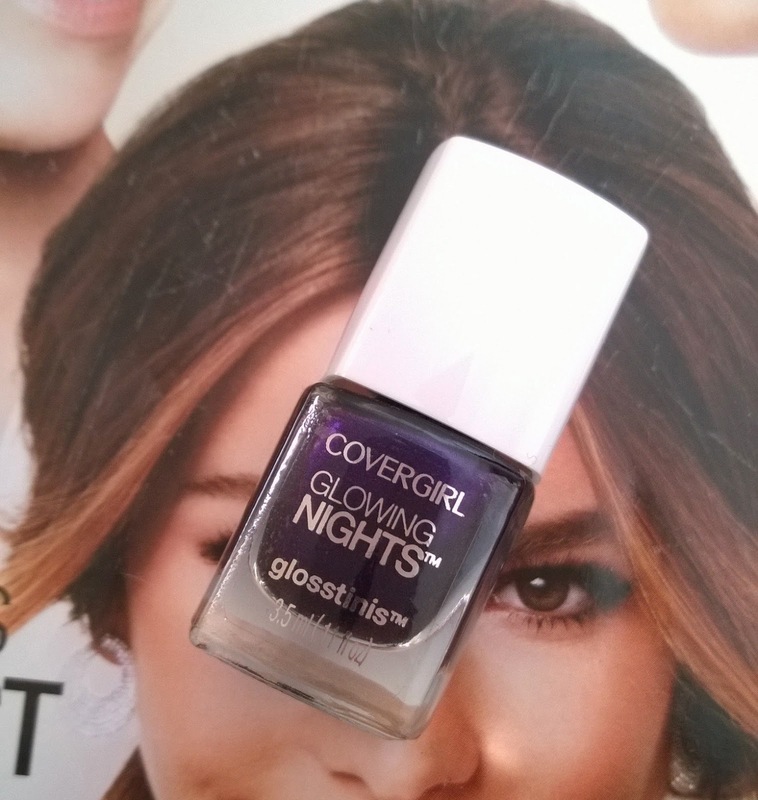 This is the CoverGirl Glowing Nights Glosstinis in Midnight Glow or as they spell it #MidnightGlow. 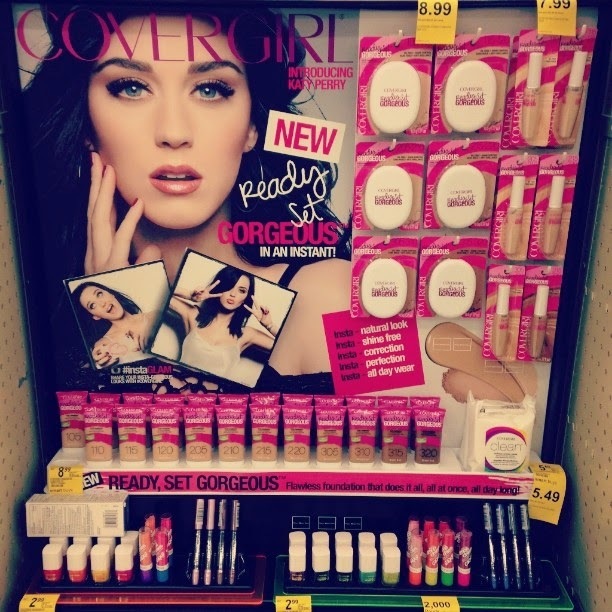 This can be found in that very cute COVERGIRL Ready Set Gorgeous display that features Katy Perry. These have been popping up at Walgreens for the past two weeks. The bright, new design is definitely very eye catching. 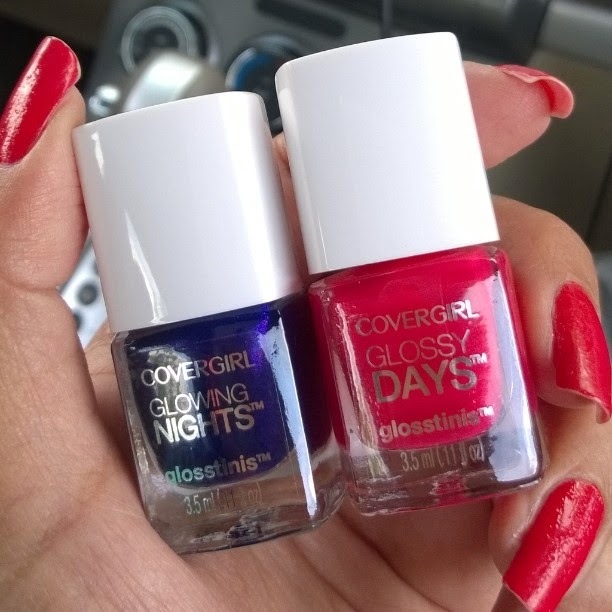 I had some coupons and was able to score two of the COVERGIRL Smoochies and now the two glosstinins for a very low price. Walgreens had them Buy One Get One 50% off and then 2,000 points back, which made the lipsticks .75 each and the polishes .25 each. Crazy right? The Glosstinins were available in 9 shades. These are the two I ended up picking out. 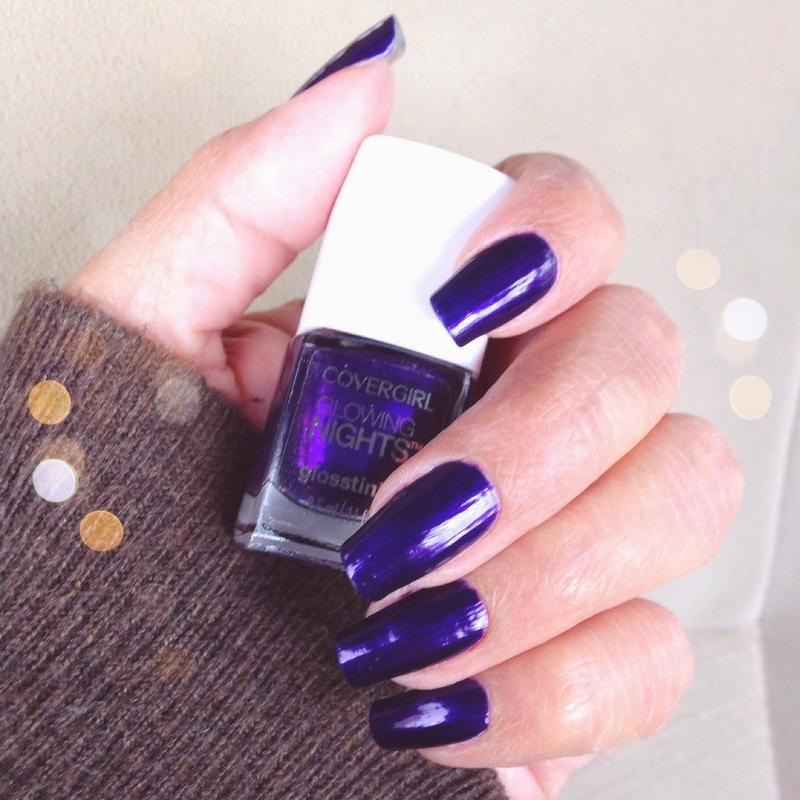 #MidnightGlow is an iridescent purple shade that refuses to show up purple in pictures, but I promise you, it is a deep, rich purple shade. It has the tiniest of fuchsia shimmers that don't show up as glitter but give the color bits of tiny light. Glosstinis are a smaller version of their regular polish bottle and very cute. I had always ignored these because of the brand and the size but really they are so very cute. Formula wise I really enjoyed #MidnightGlow. 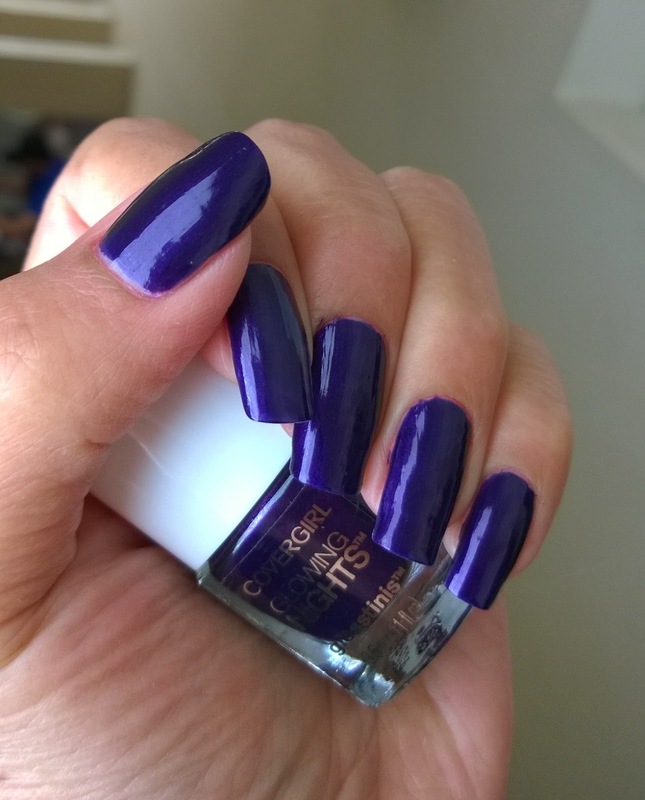 It is very pigmented and I was able to apply two very quick, thick coats without even having to wait for the first one to completely dry. I really do not enjoy polishes that require you to let each coat fully dry. Ain't no one got time for that! I applied this in thick, fast strokes and was very pleased with how opaque the color ended up. We tried all of our cameras and they all pick up the blue tones and not the purple. We spent the afternoon trying to get a purple looking shot, but no dice, this is as good as it gets. You will just have to pick up this bottle in person at Walgreens so you can see just how pretty it is. 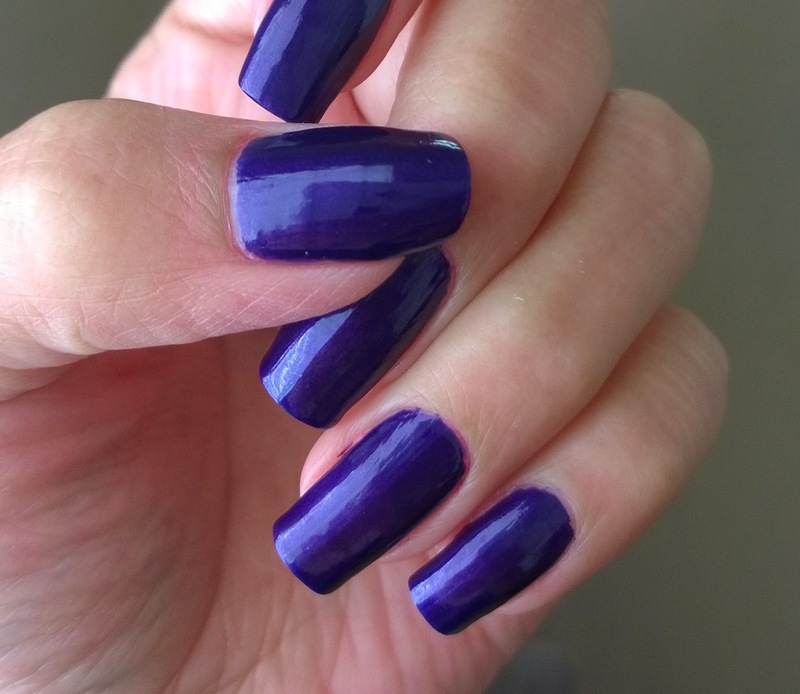 If you love really deep, royal purples, you will love this color! 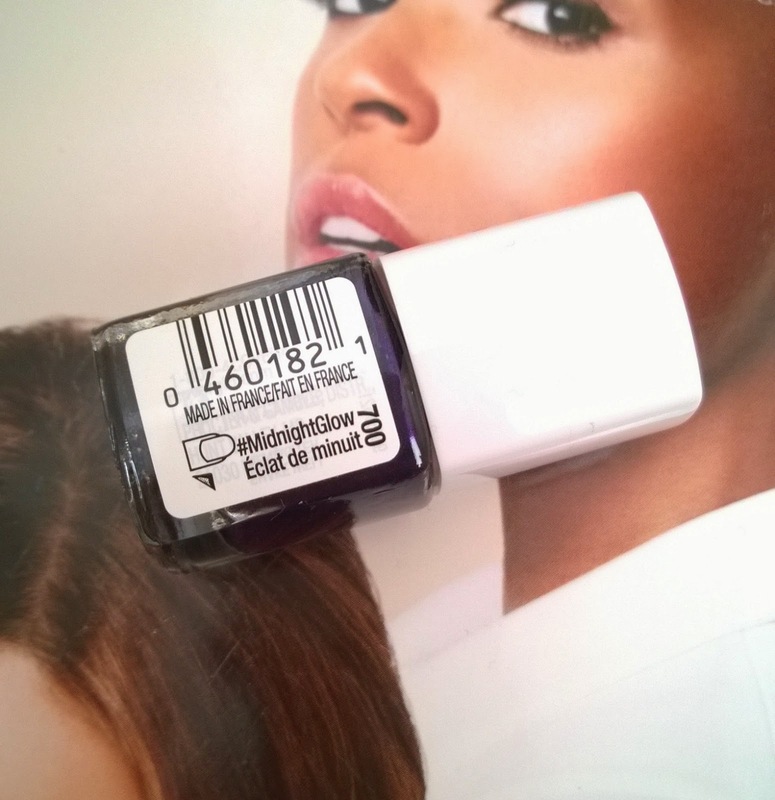 I was happy to find that these polishes, at least according to this first one, have a great formula and dry pretty fast. I will totally keep them on my radar from now on, especially if I can get some more with coupons. 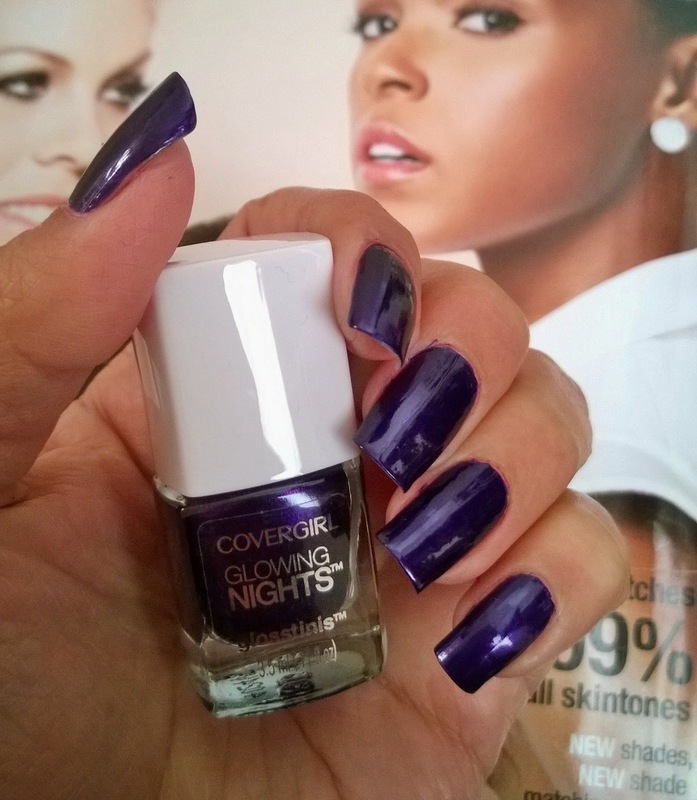 Have you tried COVERGIRL nail polishes?